Today is the first day of the 2010 hurricane season. 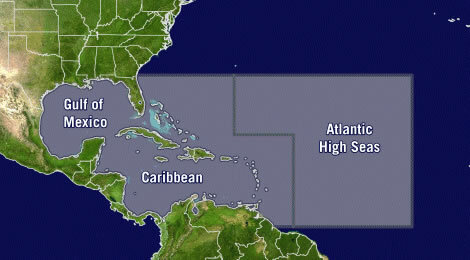 The 6 month long North Atlantic hurricane season, runs from June 1 – November 30. Hurricanes are named in alphabetical order from the list in chronologically. Thus the first tropical storm or hurricane of the year has a name that begins with “A”, the second is given the name that begins with “B” and the third “C” and onwards to “W” with “Q” and “U” skipped. Up until 1979 the lists consisted of only female names but since then the lists alternates between male and female as can be seen in the list above. When they occur the names of devastating storms like “Katrina” and “Gilbert” are retired and replaced with new ones.